The automotive industry is currently facing massive challenges. For the past 30-40 years, automakers have faced stiff competition in the marketplace, as well as constant pressure to make more innovative and efficient vehicles while reducing the costs to manufacture them. At the same time, current technological advances are making the industry—and the technology inside automobiles—increasingly complex. Digitalization is also affecting not only how automobiles work but is forcing changes in the manufacturing process and in how automakers run their businesses. With technology now touching nearly every part of the business and how it functions, the IT landscape for automakers is becoming a web of interconnected systems running both inside and outside of the business. In addition, with computing systems becoming a more integral part of the systems that run vehicles, the lines between traditional IT functions and IT within cars themselves are beginning to blur. With trends such as Big Data and analytics, the Internet of Things and The Open Group Open Platform 3.0™ making cars, manufacturers, dealers and owners increasingly interconnected, automotive company IT departments are being forced to get involved in areas of the business, such as product development and maintenance, in ways they’ve never been before. Between economic forces and technological change, automakers, like many businesses today, are facing massive upheaval and the need for major transformation in order to deal with levels of business complexity they’ve never seen before. These challenges are very real for the automotive company in this case study. In addition to general economic and technological change, the company has gone through a number of transitions that have created additional infrastructure issues for the company. Over the past two decades, the company was bought then sold and bought again, bringing in two new owners and technological systems. Between the company’s original legacy IT systems and the systems brought in by its subsequent owners, the company’s IT landscape had become extremely complicated. In addition, the company is in the process of extending its footprint in the burgeoning Chinese market, a step that requires the company to invest in additional infrastructure in order to take advantage of China’s growing economic wealth to speed sales. Between the company’s existing systems, the need to grow into emerging markets and increased digitalization across the company and its products, the company was in need of new approach to its overall architecture. Although the company started early on to utilize IT to make the information flows across the company value chain as effective as possible, the existing IT environment had grown organically as the company had changed owners. In order to prepare themselves for an increasingly digital business environment, the company needed to address the increasing complexity of its systems without adding more complexity and while designing systems that could scale and run for the long haul. Previously, the company had begun to consider using an Enterprise Architecture approach to address its growing complexity. Although the company had a number of solutions architects on staff, they soon realized that they needed a more holistic approach that could address the entire enterprise, not just the individual solutions that made up that IT landscape. In an industry where time to market is of outmost importance there will always be challenges in balancing short-term solutions with strategic investments. As such, the company initially decided to invest in an Enterprise Architecture capability with the objective of addressing internal complexities to better understand and eventually deal with them. 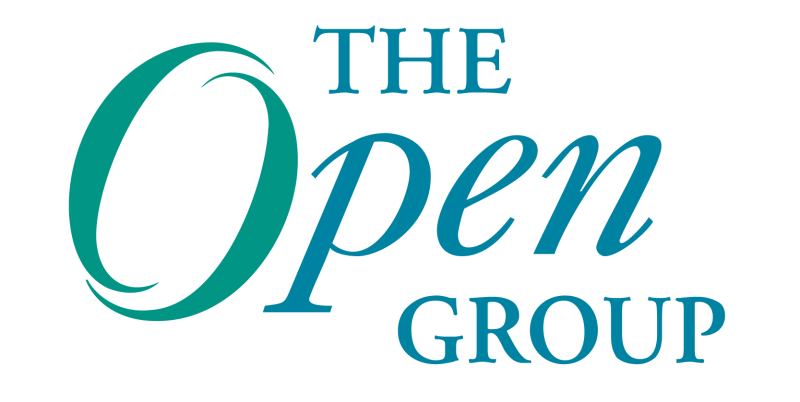 Because TOGAF®, an Open Group standard was seen as the de-facto industry standard for Enterprise Architecture it was the natural choice for the company to create its architecture framework. The majority of the Enterprise and solution Architects at the company were then trained and certified in TOGAF 9. Subsequently, TOGAF was adopted by the architecture community in the IT organization. Within the IT department, TOGAF provided an ontology for discussing IT issues, and it also provided a foundation for the Enterprise Architecture repository. However, it was seen within the organization primarily as an IT architecture concern, not a framework for transformational change. The EA team decided that in order to really benefit from TOGAF and address the complexity challenges throughout the enterprise, they would need to prove that TOGAF could be used to add value throughout the entire organization and influence how changes were delivered to the IT landscape, as well as prove the value of a structured approach to addressing internal issues. In order to prove that TOGAF could help with its overall transformation, the team decided to put together a couple of pilot projects within different business areas to showcase the benefits of using a structured approach to change. Due to a need to fix how the company sourced product components, the team decided to first pilot a TOGAF-based approach for its procurement process, since it was widely viewed as one of the most complex areas of the business. The initial pilot project was aimed at modernizing the company’s procurement landscape. Although procurement is normally a fairly straightforward process, in the automotive business the intricacies and variations within the product structure, combined with a desire to control logistic costs and material flows, represented a major challenge for the company. In short, to save costs, the company only wanted to buy things they would actually use in the vehicle manufacturing process—no more, no less. Over the years the IT supporting the company’s procurement process had become very fragmented due to investments in various point solutions and different partnerships that had been established over time. In addition, some parts of the system had been closed down, all of which made the information flow, including all the systems integrations that had occurred along the way, very difficult to map. There were also several significant gaps in the IT support of the procurement process that severely limited the transparency and integrity of the process. Each view was created using Sparx EA configured to facilitate the ADM process and acting as the architecture repository. The TOGAF ADM provided a structured approach for developing a roadmap whose results could be traced back to the original vision. Having a well-defined methodology with clear deliverables and an artifacts meta-model made the work focused, and both TOGAF and ArchiMate were relatively easy to get buy in for. The challenges for the project were mainly in one area—aligning the architecture development with the IT solution sourcing process. Because the company wanted to identify sourcing solutions early to assess costs and initiate negotiation, that emphasis pushed the project into identifying solutions building blocks very early on. In most cases, the output from the ADM process could directly be used as input for sourcing commercial of solutions; however, in this case, sourcing soon took precedence over the architecture development process. Usually moving through the ADM phases A to E can be done within a couple of months but evaluating solutions and securing funding within this company proved to be much more difficult and time consuming. With a new procurement process roadmap in hand, the company has now begun to use the ADM to engage with and get Requests for Information (RFIs) from new suppliers. In addition, using TOGAF and ArchiMate to map the company’s procurement process and design an infrastructure roadmap helped to demystify what had been seen as an extremely complex procurement process. The project allowed the IT team to identify where the real complexities were in the process, many of which are at the component level rather than within the system itself. In addition, the company has been able to identify the areas that they need to prioritize as they begin their implementation process. Initially TOGAF was seen as a silver bullet within the organization. However, companies must realize that the TOGAF methodology represents best practices, and there is still a need within any organization to have skilled, knowledgeable Enterprise Architects available and with the mandate to do the work. Kept the team focused on the outcome, definition, roadmap, etc. ArchiMate added additional support by providing well-defined viewpoints, and Sparx EA is a cost effective modelling tool and repository that can easily be deployed to all stakeholder in an initiative. Adopting Archimate proved to be more straightforward internally at this organization because it could be used to address immediate modelling needs but without requiring a coordinated approach around methodology and governance. In cases such as this, it is probably best to sell the TOGAF and ArchiMate methodologies into the business organization as common sense solutions rather than as specific technology architecture methodologies. Although they may be presented as such to the EA community within the organization, it makes the decision process simpler not to oversell the technical solution, as it were, to the business, instead selling them the business benefits of the process. Currently the company is beginning to move through the implementation phase of their roadmap. In addition, individuals throughout the organization have begun to regularly use ArchiMate as a tool for modeling different business areas within the organization. In addition the tools and concepts of TOGAF have been put into use successfully in several initiatives. The timeframe however for formally implementing a more comprehensive Enterprise Architecture Framework throughout other parts of the organization has been slowed down due to the company’s current focus on the release of new models. This is cyclical within the company and once the immediate focus on product delivery weakens, the need for consolidation and simplification will become a priority once again. As with most companies, the key to a implementing a successful Enterprise Architecture capability within this company will come down to establishing a more effective partnership between the IT organization and the business organizations that IT is supporting. As such, for projects such as this, early engagement is key, and the IT organization must position itself not only as a delivery organization but a business partner that provides investment advice and helps minimize business risk through improved processes and technology based business transformation (as is prescribed by methodologies such as TOGAF and ArchiMate). This requires a unified view of the company mission and its business objectives and associated approaches from IT. Project managers, business analysts and Enterprise Architects must have a common view as to how to approach engagements for them to succeed. Without buy-in throughout the organization, the tools will only be useful techniques used by individuals and their real potential may not be realized.